When you install a roof on your home or business, you want it to last for as long as possible. One way to get more life out of a roof is by having a low slope roof installed. Low slope roofs are sometimes advertised as flat roofs, but more often than not, they do have a slight slope to them. When maintained properly, these roofs can last for a lot longer than standard roofs. Here are some other benefits of low slope roofs. Low slope roofs weigh less than other roofs. Low slope roofs obviously don’t extend up into the air very high. Therefore, it doesn’t require as many materials to build them. This makes low slope roofs a lot lighter than other roofs. It also makes it more affordable to install one. They can be maintained easily. If you’ve ever tried to climb up onto a roof with a high slope, then you know how dangerous it can potentially be. 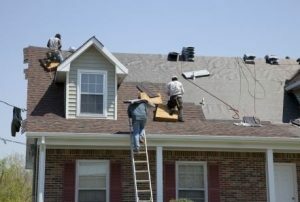 Some homeowners aren’t able to maintain their roofs properly because of the slope on them. However, with low slope roofs, it’s very easy to get up on them and walk around without worrying about falling. You can inspect your roof easily, remove branches, leaves, and snow from it, and maintain it without putting yourself into any real danger. They can keep homes more comfortable. A home with a roof that has a steep slope has a large amount of space between the roof and upper level of the home filled with air. That air can play a big part in how hot or cold the entire house is. When you eliminate that space, you can actually heat or cool your home more efficiently. You can also cut down on the amount of time you need to spend using your HVAC system, which can cut your energy costs over time. Are you thinking about installing a low slope roof? Roofing by Bruce can list some of the other benefits of doing it for you. Call us at 570-424-8891 today with any roof installation questions you might have.